The new ACW4 and TCW4 Hall effect sensors from Sensata Technologies feature an over-moulded, modular design that is well-sealed from the environment and easy to install. The Rotronic Monitoring system (RMS) provides a complete, flexible monitoring solution. RMS software stores all recorded measurements securely in a system that the user can access at any time; data can be retrieved in any form and integrated into third party systems. Versaperm’s upgraded range of permeability meters produce fast accurate results in the PPM (parts per million) to PPB (billion) range and can quality control permeability for virtually any gas or vapour, including hydrocarbons, solvents, hydrogen, oxygen and CO2. T&D Corporation has extended its original TR7wf series with a Bluetooth feature designed to improve connectivity between data loggers and mobile devices such as smartphones and tablets. Riftek has introduced high speed laser scanners for precision linear measurement tasks. Litre Meter manufactures and distributes a wide range of flowmeters to suit many kinds of of industrial plant and equipment. Analytical Industries Inc’s new online replacement oxygen sensor selector tool has been updated with a wider range of industrial electrochemical oxygen sensors. Designed for monitoring combustion control in industrial boilers, the XZR250 oxygen analyser from Michell Instruments was developed to meet customer demand for a cost-effective, easy-to-operate instrument with a probe that would cope with high flue temperatures. Sabella, a tidal and ocean stream turbine developer, has partnered with QOS Energy to improve the performance monitoring of its Ushant tidal energy project. 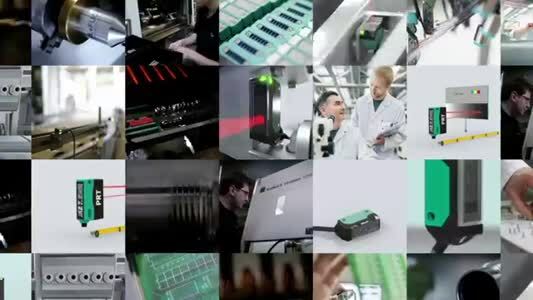 Kistler Instruments has a range of options for using sensors and process monitoring systems to support Industry 4.0, all of which are developed to deliver gains in quality and efficiency. The robust VMZ.2 magnetic inductive flow sensor is the second generation from SIKA Dr. Siebert & Kühn. Its special design is said to make it highly cost effective and it is packed with technical features. Carlo Gavazzi's IBS and ICS series are among the smallest inductive sensors with on-board IO-Link communication available in the market. Sensors & Instrumentation, the UK’s only national sensors show sponsored by Mouser, is creating an early buzz with hundreds having already registered to attend this year’s event at the NEC, Birmingham, on 26th & 27th September. Sensors & Instrumentation opens for business in Hall 3 of the NEC, Birmingham, on Wednesday 25th and Thursday 26th September 2013, offering visitors the chance to view and discuss many of the latest products designed for test, measurement and control purposes. Rotronic has long been known for high accuracy in humidity and temperature measurement which is due to products being designed and manufactured to the highest quality and continuously developed by a team of dedicated engineers with years of experience between them. With our HW4 software, we are offering a comprehensive, yet easy-to-use, monitoring solution for all the current and planned products. Rotronic products are specified throughout industries of all types from pharmaceutical to food companies; brickworks to art galleries. When you buy a product from ROTRONIC, you do not simply opt for a partner that sells you the measuring instrument, but also for a company that wants you to use the measuring instruments in such a way that they afford you maximum benefits and are a reliable companion to you in your everyday work.